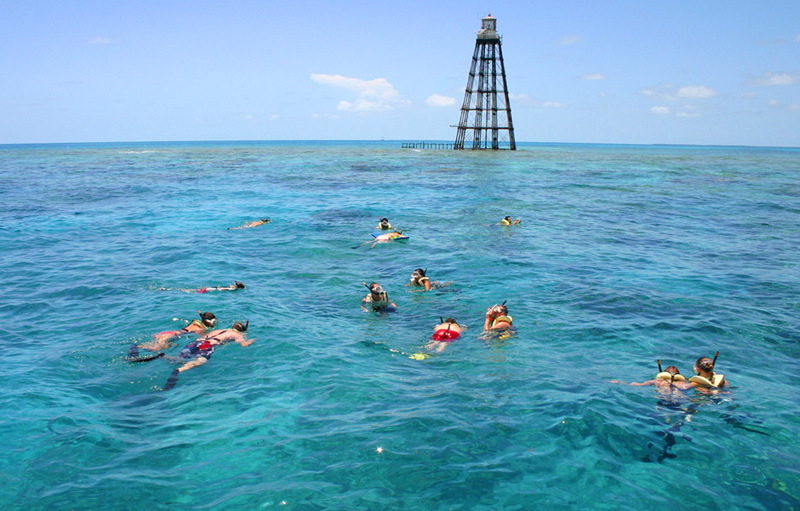 Wondering where to find the best snorkeling spots in Key West? 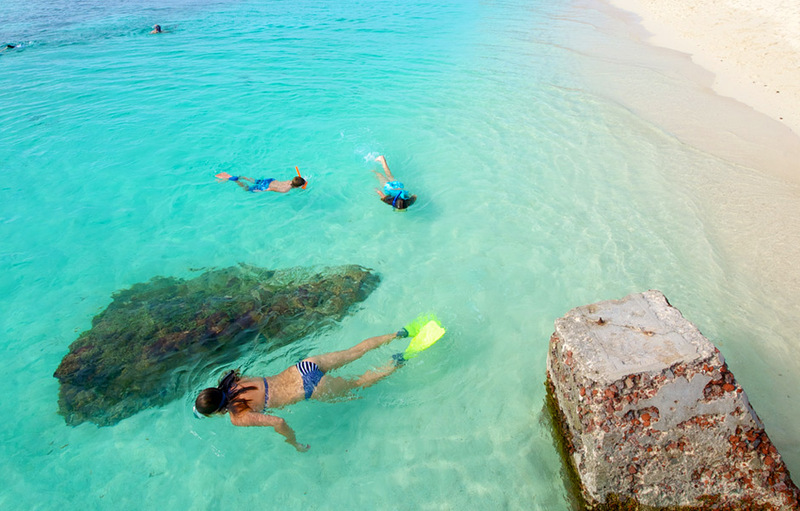 Learn more about the top featured snorkeling destinations in and around the island. Just 70 miles from Key West, the Dry Tortugas National Park offers some of the most unforgettable snorkeling spots and fascinating marine life. The park features shallow waters around the South Swim Beach and North Swim Beach to ensure that everyone can enjoy the park’s natural beauty. More experienced snorkelers may prefer areas near the South Coaling Dock Ruins. Be on the lookout for tropical fish, queen conchs, starfish, sharks and intricate corals. Visitors can travel to the Dry Tortugas by the Yankee Freedom III ferry, seaplane, private boats or boat charters. To experience the best snorkeling at Cottrell Key, the wind conditions have to be just right. If you visit this patch reef full of soft sponge coral on a good day, you’ll see some of the biggest and most beautiful wildlife around. It’s not uncommon to spot goliath grouper, stingrays with 8-foot wingspans and vibrant tropical fish here. During your trip out to Cottrell Key, you might pass by the old Hemingway fishing platform where famous author Ernest Hemingway spent many days fishing back in the 1930s. One of Key West’s most popular snorkeling spots, a trip out to Sand Key is a must do. Sand Key is a sanctuary preservation area where you’ll spy a variety of wildlife as well as the historic Sand Key Lighthouse. Visitors can climb the lighthouse for a great view of Key West off in the distance. Snorkelers often find that the inner areas of Sand Key and the north side near the lagoon are best for snorkeling, although the north side can be crowded during peak seasons. Often hailed as one of Key West’s best beaches, Fort Zachary Taylor State Park offers a wide range of family-friendly outdoor adventures. Conveniently located at the end of Southard Street on Truman Annex, the beach is ideal for swimming and snorkeling. Be sure to bring water shoes along to explore the beach’s rocky shoreline. Pack a picnic lunch, or try out the nearby beachfront Cayo Hueso Café for snacks, cold drinks and souvenirs. The Eastern Dry Rocks make up part of the world’s largest coral reef system at the Florida Straits. You won’t find many boats or snorkelers in sight at the Eastern Dry Rocks, so you can enjoy calm and secluded snorkeling in deep blue sparkling waters. The water is especially clear here due to the nearby blue water from the Gulf Stream. Dive down to see awesome coral canyons, sharks and beautiful purple sea fans. Rock Key constitutes another section of the Florida Straits. Because the wind and weather conditions need to be just right to enjoy snorkeling at Rock Key, it is one of the most unspoiled sections of the reef. The coral here is especially vibrant, and you’ll find an array of unique marine creatures. Some of the most exciting animals at Rock Key include triggerfish, filefish, angelfish, sergeant majors and even loggerhead sea turtles. At this secluded snorkeling location, you’ll find a large variety of marine creatures and coral formations. Snorkelers also enjoy the considerable variation in depth, from shallow waters to deeper areas perfect for investigating caves, crevices, ledges and more. Scuba divers have even discovered remnants from shipwrecks in this area, so you never know what treasures you’ll find near the Western Dry Rocks. 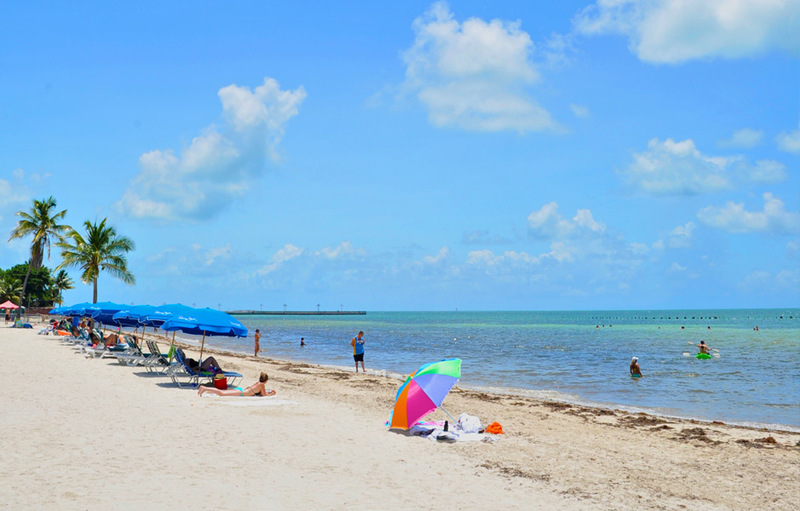 Only a short walk from many of Key West’s most popular hotels, Higgs Beach is a local favorite. The relaxing atmosphere, warm sand, great pier and occasional wild chickens make the beach a unique and memorable Key West attraction. Higgs Beach is also a fantastic snorkeling spot if you don’t want to travel out to the reef, so novice snorkelers can explore the shallow, tranquil waters at their own pace. Check out this detailed snorkeling map for more information.